Because of its unique shape, the Spectra offers an endless variety of positions. This stunning shadow maker, both round and square, combines the beauty of the flat design with the functionality of the fan system. 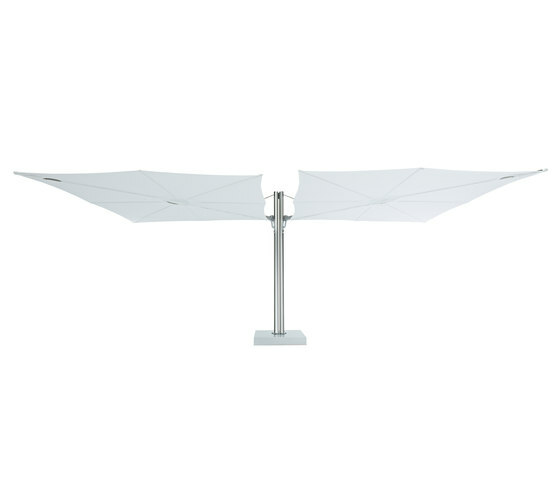 Thanks to this system, the umbrella closes horizontally instead of vertically. A unique and contemporary concept.